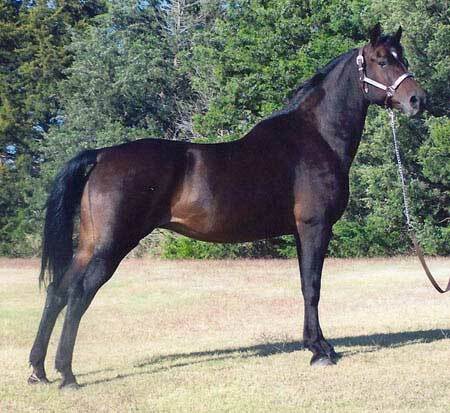 This full Funquest bred brown mare is our dream come true. She has a very beautiful head with bulging gentle, kind eyes, neck and slope of shoulder. She possesses that famous Flyhawk trot and produces wonderful foals. This defiantly is an attribute to Staurt Hazard's breeding program. We welcome her into our Funquest broodmare band and thank Jerry and Peggy Hatfield for the opportunity to purchase this lovely mare.